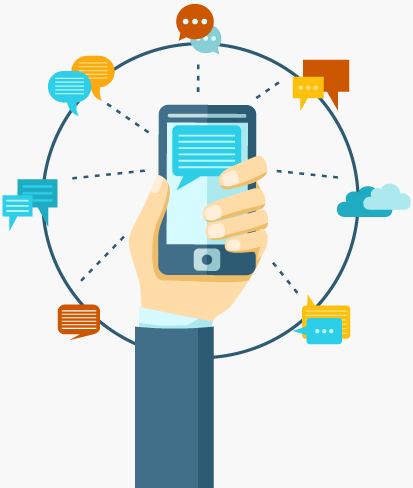 Promotional SMS Service- Send Marketing Bulk SMS in India! Promotional Bulk SMS service that makes your marketing more effective.Skyrocket your Sales Now, as a fast, user-friendly and cost-effective. Engage your customers by sending SMS with regular offers, promo codes etc. Send admission open or admission offers to students and parents. You can send wishes to your loved ones using bulk SMS. Checkout best Promotional Bulk SMS pricing here! How can we use Promotional SMS? Its been a great experience working with SSD Web Solutions! They have always been extremely supportive and prompt to solve issues immediately. Wishing them all the very best for future. we are customer of SSD since 2014.We are very much pleased on the services provided by them.They are very fast & very much careful to solve any problems.thanking you SSD. What Is SMS Credit ? 1 SMS Credit = 160 characters including spaces in English. 1 SMS Credit = 66 characters including spaces in other languages. You can send SMS up to 700 characters but credits will be debited respectively as per above.